Winnow launched five years ago this month, and there’s a lot for our customers, our partners and our team to celebrate. We are now operating in more than 30 countries, and the chefs using our technology save 15 million meals a year from being wasted. This is a fantastic achievement, and as we take a moment to look back we would like to say thank you to our customers and partners. They have made this possible. I founded Winnow because I believe that food is too valuable to waste. I left my life in consultancy to build a company that could scale a viable global solution to food waste in the commercial kitchen. Some people were sceptical to say the least, but I was also blessed with a network of supporters who helped get Winnow off the ground. My team and I have learnt a lot over the last five years. In 2013 we started out in a single staff canteen in London, and our first product could be described as ‘entry level’ - a tablet wrapped in plastic next to a scale. It was basic, but it worked. In this canteen we learnt that, when food is prepared in advance, most food waste happens because more food is cooked than the customers want to eat. Chefs in large kitchens are being asked to make complex forecasting decisions in stressful environments with imperfect information, and they must err on the side of caution to avoid running out of any dish. Is it any wonder that 5-15% of food purchased by these kitchens ends up in the bin? This canteen, however, also taught us that, given the right tools, chefs can cut food waste in their kitchens by between 40% and 70% within a year. From this early testbed, therefore, we began assembling a team to build, implement and scale Winnow. We wanted every chef to have the right tools. As more chefs began to use Winnow, they told us how important speed was to them. Our technical team spent thousands of hours and countless late nights making Winnow as quick and effortless as possible to use. Our aim was for kitchen staff to barely notice that they were recording food waste, while having the data at their fingertips to quickly identify where overproduction can be reduced. 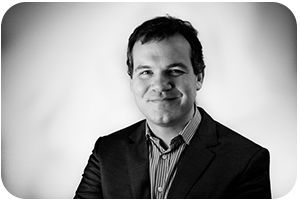 From 2015 Winnow began to expand internationally, opening satellite offices in Asia and the Middle East. Working with these different cultures taught us that there are differences in how teams like to learn, communicate and celebrate success. We launched customer support on WeChat for our Chinese customers, designed hands on training for non-English speaking staff in Dubai, and make enough time to eat one or preferably two lunches with our Italian users. Fast forward to today and we have become a team of 60 with offices in Dubai, Singapore and Shanghai. The Winnow app is translated into more than 20 languages, proving that when armed with insight, chefs from around the world are able to replicate the success we saw in our first kitchen. Winnow has been championed along the way by advocates who share our mission and values. Compass Group was one of Winnow’s earliest partners and helped shape the product as it is today. Our partnership with Compass Group UK & Ireland is now delivering at scale, with more than 250 sites using the system every day and seeing great results. Across staff canteens, schools, universities, defence sites and hospitals, we have on average cut food waste in half. Chef and campaigner Hugh Fearnley-Whittingstall was also an early advocate of Winnow. In 2015 the team at his restaurant in Winchester used Winnow to cut food waste by a third (Link for video). Following the BBC series Hugh’s War on Waste, more than 288,000 people signed the #wastenot petition campaigning for supermarkets to take action. 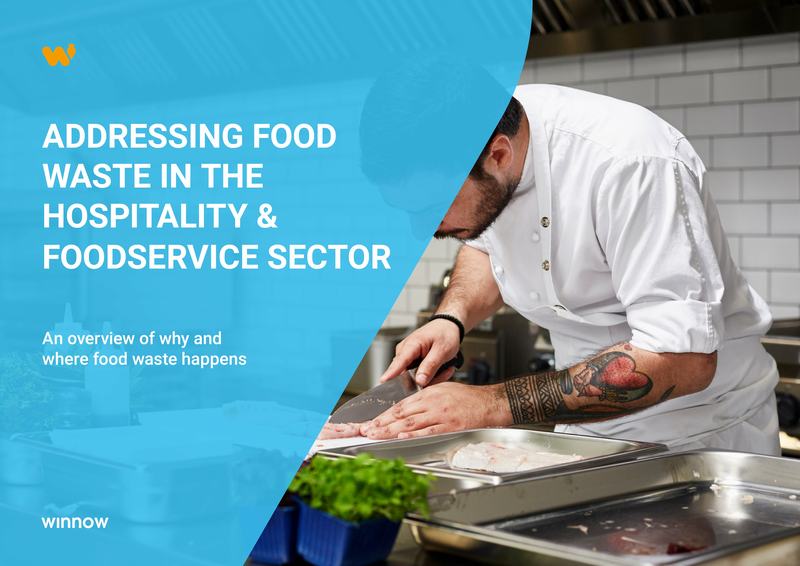 With food waste moving up the national agenda, leaders in the hospitality sector began to take action. Over the next 18 months, market leaders began to make public commitments to reduce food waste across their operations. IKEA announced that it planned to cut food waste by 50% by 2020 as part of its #FoodIsPrecious campaign, and Winnow partners Accor, Compass Group and Costa Cruises have publicly announced waste reduction targets. The UN Sustainable Development Goal 12.3 sets out a global ambition to halve global food waste by 2030. We are proud to be a partner of Champions 12.3, a global coalition of businesses, governments and international organisations working towards this goal. 2018 sees wide adoption of Winnow at scale across contract catering, hotels, quick service restaurants and cruise liners. Collectively our clients are saving themselves $16m every year while receiving praise from media and their customers for taking action against a pressing global problem. This is a great achievement, but with an estimated $100bn of food being wasted annually in the hospitality sector there is still a long way to go. I am optimistic as I look forward to the next five years. There is a clear will from companies and consumers to address the problem of food waste; the business and moral case is clear. We will not, however, be resting on our laurels. Over the coming months and years my team and I will be working hard to make Winnow more intuitive, faster and smarter. But for now, we’d like to take this opportunity to say thank you to our customers and partners. You are the visionaries blazing a trail for the rest of the industry. We have achieved much together over the last five years, and we look forward to building the kitchen of the future together with you.